With 138 bedrooms offering contemporary accommodation in a uniquely Cambridge location, choose a room at Doubletree by Hilton with a private balcony to enjoy amazing views. 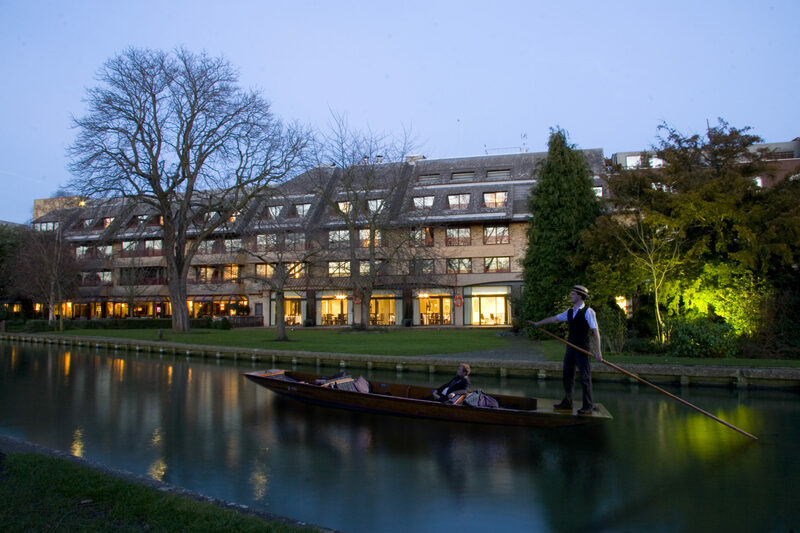 Experience Cambridge’s riverside retreat! The only city centre hotel overlooking the River Cam, DoubleTree by Hilton Cambridge City Centre is a 4-star venue offering stylish accommodation and event space in a unique, central setting. Just 10 minutes’ from Cambridge train station or 5 minutes’ from the M11, the hotel is easy to reach with onsite car parking and is the perfect place for indoor and outdoor events. Watch the punts glide by as you enjoy childhood favourites and modern-day delicacies in Marco Pierre White’s riverside restaurant or dine al fresco with a BBQ or buffet in the landscaped gardens. A leading provider of conference and events space, the hotel offers 8 contemporary function rooms – 6 of which have direct access to the gardens and river-views. With 138 bedrooms, you can hold your entire event in one location. Ideal for: The Killing, Around the World, Awakening the Dead, Stocks in the City, Mixology, The Ultimate Team Build and many more. Location: On the River Cam, easy access from A14 and M11, 1 mile from Cambridge station serving London St Pancras and London Liverpool Street.